Is there anything as cute as baby feet? 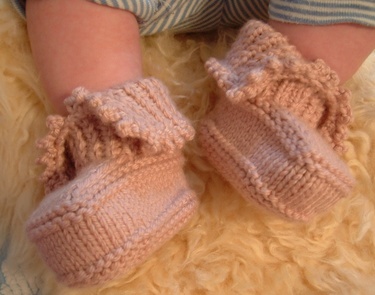 I think not, but baby booties are certainly a close second. And look at these sweet ones that arrived in the mail from Joelene of Misocrafty as a gift for Adelaide. Joelene's an amazing knitter, and these are so well made and just gorgeous. AND, coolest of all, they match exactly the knitted dress I'm making for Adelaide. Yay!! 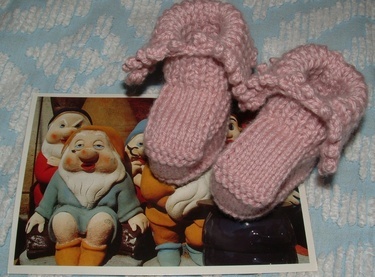 And here are the booties with the postcard she sent that Ezra is obsessed with carrying around. Thanks so much Joelene for the wonderful gift!